Poorer graduates are not being offered jobs because of their accents and the clothes they wear, it has been revealed, as experts warn classist snobbery is still rife within the financial quarter. 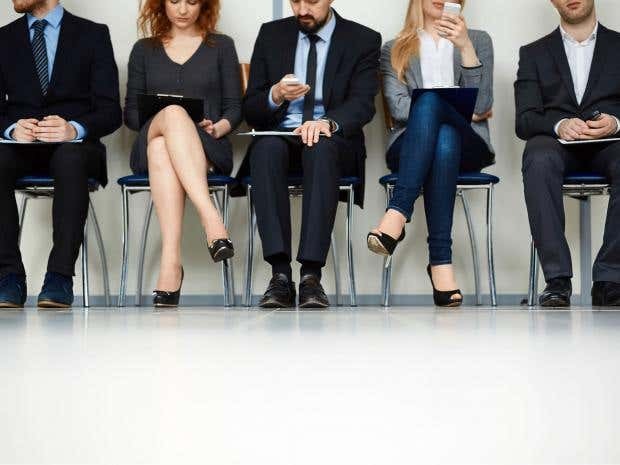 A report from the Social Mobility Commission found that investment banks are failing to hire talented graduated from less advantaged backgrounds because they recruit from a small pool of elite universities and hire those who “fit in” with the pre-existing culture. Working class candidates are often rejected for jobs for being unaware of the traditional “opaque” dress codes abided by in the City – for instance wearing brown shoes instead of black – that richer children grow up knowing, researchers found. Firms also prefer to select recruits who display “polish” and favour middle and higher income candidates who come from the UK’s top six or seven universities, leaving those from working class backgrounds with poorer access to top jobs. Successful candidates within investment banking were likely to display “a combination of social skills” taught in private schools and at home “if they come from a middle or upper class background”, researchers said. One candidate from a less affluent background was told by one bank that while he was “clearly quite sharp”, he was “not quite the right fit” and his tie was “too loud”. Research from Royal Holloway University of London and the University of Birmingham also found that young people who aspire to work in senior banking roles are expected to have a breadth of work experience within the field – something students with family connections in the industry were much more likely to obtain. Commenting on the report, Alan Milburn, Chair of the Social Mobility Commission, said: “Bright working class kids are being systematically locked out of top jobs in investment banking because they may not have attended a small handful of elite universities or understand arcane culture rules. Overall, banks were more likely to hire from a handful of universities including Oxford, Cambridge and the London School of Economics. But candidate case studies published in the government taskforce paper revealed a pattern whereby those with personal connections to managing directors were being offered jobs automatically by the time they had finished a work placement. Olly Newton, Director of Policy and Research at the social mobility charity The Edge Foundation, said: ‘These old-fashioned prejudices impact not just on opportunities for young people, but on the UK economy if we overlook the most talented in favour of the best-dressed. “The Social Mobility Commission’s recommendation to value vocational learning equally to academic routes is particularly welcome, and we welcome the fact that these barriers are slowly breaking down.